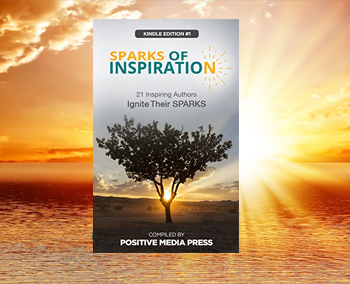 Sparks of Inspiration by Positive Media Press : 21 Inspiring authors ignite a flame of positivist and inspiration. Through this collection of short stories, you will be reminded of where you’ve been and where you’re going. These stories written by authors around the world connect us all. One is sure to illuminate, inspire, and ignite something unexpected in you. 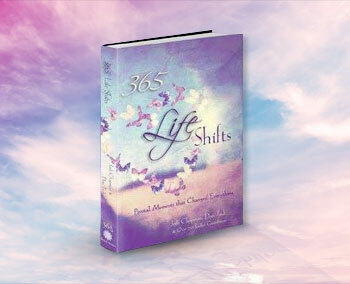 365 Life Shifts - Pivotal Moments that Changed Everything by Jodi Chapman and Dan Teck : Every so often, we have an experience that alters the course of our lives and changes who we are forever. Sometimes these moments fill us with rapture and flood us with insight. Other times, they are blessings in disguise that don't reveal their treasure until years later. However they show up, these moments can inspire us to live richer, deeper, and more authentically soulful lives. 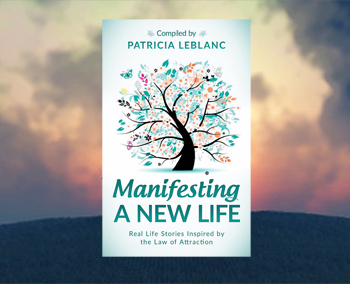 Manifesting A New Life - Real Life Stories Inspired by the Law of Attraction - Compiled by Patricia LeBlanc : This book was compiled to help you manifest anything that your heart desires. You will read 25 amazing manifesting stories from real people who used the law of attraction to manifest something amazing for themselves. Each co-author walks you through their own journey in such an inspiring manner. They are living proof that anyone has the power to create amazing things for themselves. You will also find a chapter on how to manifest anything that your heart desires which is written by International Manifesting Expert, Patricia LeBlanc. This journey belongs to you and it is time that you take back your power and create the life that you truly want. You deserve to live a happy, fulfilled and abundant life. Happy Manifesting! 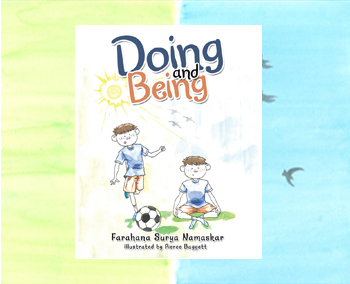 Doing and Being : Description: Doing and Being by Farahana Surya Namaskar and illustrated by Pierce Baggett is a children's book about living a balanced day. It teaches children and their parents that although we are always busy "doing" things, "being" is very important. When we allow ourselves to just be, we are in essence allowing ourselves to be more mindful. Mindfulness is the act of staying present. It is the focus of being in the here and in the now moment, rather than focusing on past or future events. Mindfulness helps reduce stress, anxiety, fear and worry. It also helps us to mange our emotions better. The book presents examples of various activities associated with doing and being and how we can balance these during the course of our day in order to stay more relaxed. Remember, "Doing is important, but don't forget about Being". The Healing Power of Words : The Healing Power of Words is a compilation of poetry that became an important part of Namaskar's healing process after the break up of her seven year marriage. She describes her healing to have unfolded under 4 main themes that became chapters in the book; "Pain and Grief", "Healing and Growth", "Love and Nurturing" and "Purpose and Awakening". Namaskar believes that each day in our life is uniquely made up of lessons we must go through in order to help us grow. Enjoy the blessings of this masterpiece and allow yourself to unfold through the process from pain to awakening.